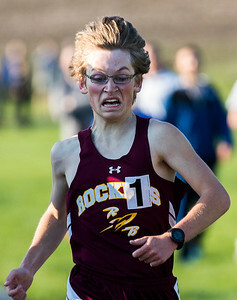 Sarah Nader - snader@shawmedia.com Richmond-Burton's Ryan Hommowan competes in the 3200 run at Thursday's Kishwaukee River Conference Boys Track Championship at Harvard High School May 11, 2017. 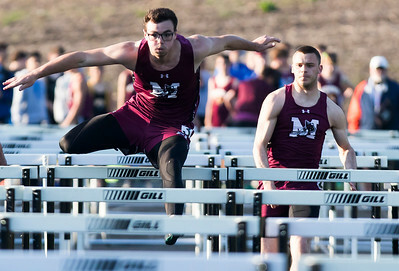 Sarah Nader - snader@shawmedia.com Marengos's Finn Schirmer competes in the 110 hurdles race at Thursday's Kishwaukee River Conference Boys Track Championship at Harvard High School May 11, 2017. Schirmer finished in first with a time of 15.11. 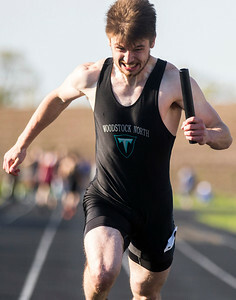 Sarah Nader - snader@shawmedia.com Woodstock North's Brad Kohler competes in the 4x100 relay at Thursday's Kishwaukee River Conference Boys Track Championship at Harvard High School May 11, 2017. 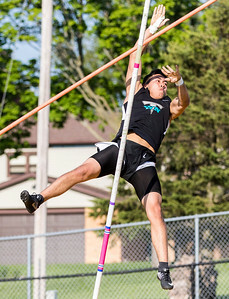 Sarah Nader - snader@shawmedia.com Woodstock North's Carlos Tapia competes in pole vault at Thursday's Kishwaukee River Conference Boys Track Championship at Harvard High School May 11, 2017. 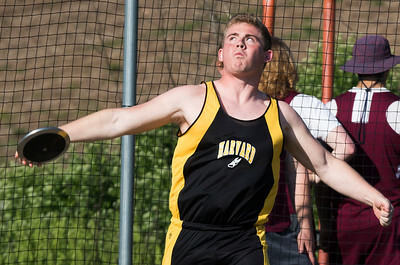 Sarah Nader - snader@shawmedia.com Woodstock's Sean Doyle competes in discus at Thursday's Kishwaukee River Conference Boys Track Championship at Harvard High School May 11, 2017. 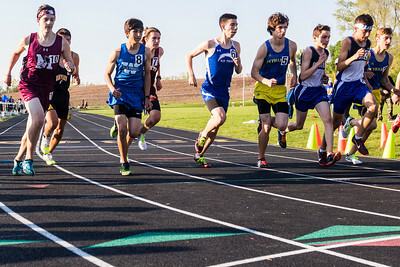 Sarah Nader - snader@shawmedia.com Runners compete in the 2300 run at Thursday's Kishwaukee River Conference Boys Track Championship at Harvard High School May 11, 2017. 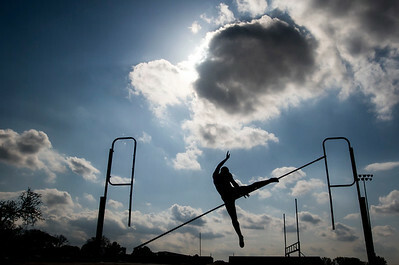 Sarah Nader - snader@shawmedia.com A pole vaulter knocks down the bar while competing at Thursday's Kishwaukee River Conference Boys Track Championship at Harvard High School May 11, 2017. 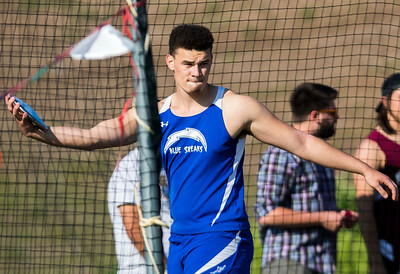 Sarah Nader - snader@shawmedia.com Harvard's John Lynch competes in discus at Thursday's Kishwaukee River Conference Boys Track Championship at Harvard High School May 11, 2017. 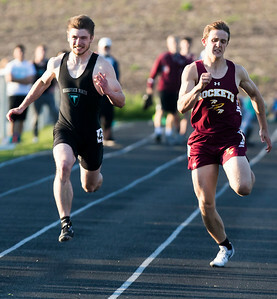 Sarah Nader - snader@shawmedia.com Woodstock North's Brad Kohler (left) and Richmond-Burton's Mike Kaufman compete in the 100 meter dash at Thursday's Kishwaukee River Conference Boys Track Championship at Harvard High School May 11, 2017. 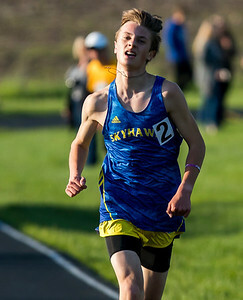 Sarah Nader - snader@shawmedia.com Johnsburg's Tim Bertulis finishes the 3200 meter race at Thursday's Kishwaukee River Conference Boys Track Championship at Harvard High School May 11, 2017. Bertulis came in first with a time of 10:04.47. Sarah Nader - snader@shawmedia.com Richmond-Burton's Nick Degroot finishes the 800 meter run at Thursday's Kishwaukee River Conference Boys Track Championship at Harvard High School May 11, 2017. Degroot came is first with a time of 1:58.62. 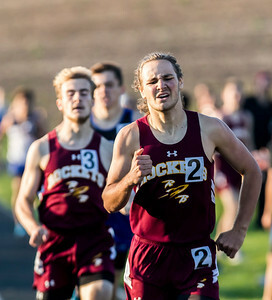 Richmond-Burton's Nick Degroot finishes the 800 meter run at Thursday's Kishwaukee River Conference Boys Track Championship at Harvard High School May 11, 2017. Degroot came is first with a time of 1:58.62.